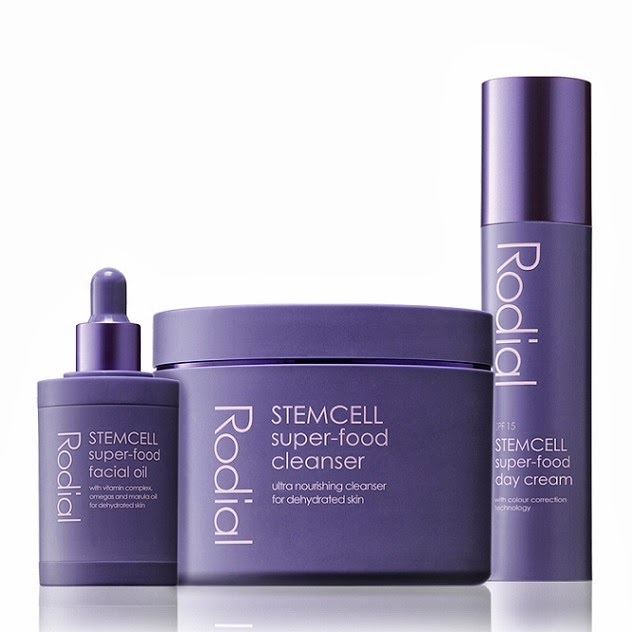 Rodial launched a revolutionary new range aiming to feed and nourish the skin. Superfood type ingredients such as Omega 3, 6 and 9 oils, Marula Oil and Vitamins A, B5, E and C combined with PhytoCell™ Alp Rose stem cells provide a complete nutrition for the skin. The results are supple, nourished & glowing skin. Introducing the <STEMCELL Super-Food Oil>, <STEMCELL Super-Food Cleanser>, and <STEMCELL Super-Food Day Cream SPF15> which are designed specifically to nourish and illuminate the skin. Rich in anti oxidants, omega 3, 6 and 9 and Vitamins A, B5, C and E, this skin-rejuvenating formula is quickly absorbed into the skin for deep nourishment whilst advanced PhytoCellTech™ Alp Rose stem-cell technology protects skin from daily aggressions. Wrinkle appearance is reduced and skin’s vitality is increased.